Purchase includes modern performing edition, score and five parts. Suitable for performance with string orchestra accompanying. Le Désir was apparently first published in Leipzig by Hofmeister in 1835, and reissued in 1900, but not since. It opens with a brief slow introduction and continues with the theme, several variations and a closing Rondo. 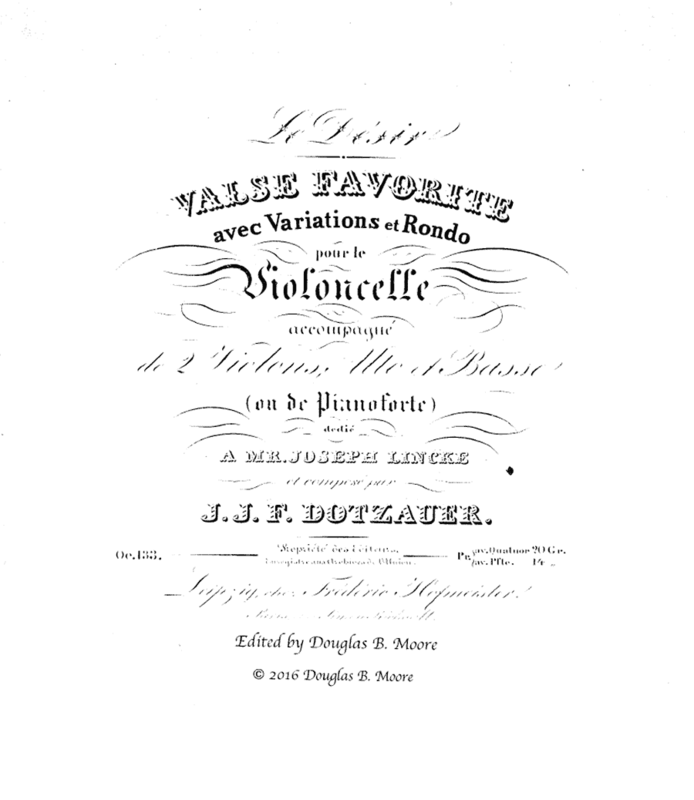 Dotzauer (1783-1860) is best known today for his etudes and cello methods, but he also wrote numerous cello concerti, string quartets, and countless works for cello.